VivaColombia (Medellin) is coming to Miami International Airport. The low-fare carrier is intending to start daily scheduled passenger flights from Bogota and Medellin, Colombia to Miami starting on December 2, 2015. 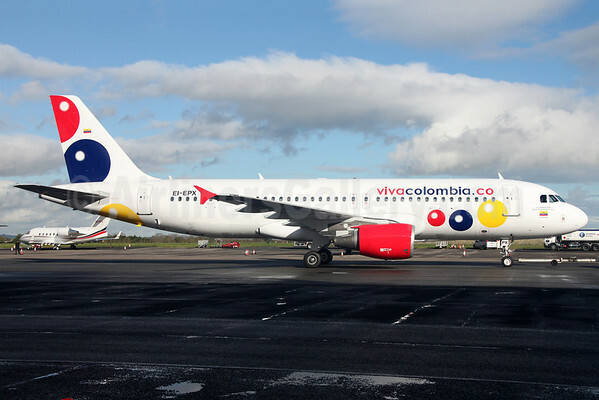 VivaColombia operates A320 aircraft and commenced operations on May 25, 2012. Copyright Photo: Greenwing/AirlinersGallery.com. Airbus A320-214 EI-EPX (msn 1454) became HK-4905 on delivery. This entry was posted in VivaColombia and tagged 1454, A320, A320-200, A320-214, Airbus, Airbus A320-200, EI-EPX, HK-4905, MIA, Miami, VivaColombia on July 16, 2015 by Bruce Drum.